It has been proposed that the implicate order can be given mathematical expression in terms of an algebra and that this algebra is similar to that used in quantum theory. In this paper we bring out in a simple way those aspects of the algebraic formulation of quantum theory that are most relevant to the implicate order. 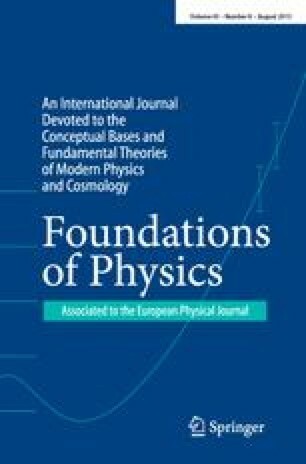 By using the properties of the standard ket introduced by Dirac we describe in detail how the Heisenberg algebra can be generalized to produce an algebraic structure in which it is possible to describe space translations in a way that is analogous to the description of rotations in a Clifford algebra. This approach opens up the possibility of going beyond the limits of the present quantum formalism and we discuss briefly some of the new implications.